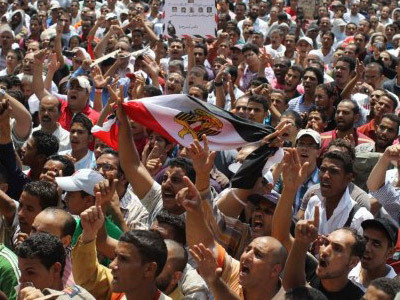 Hundreds of thousands of angry protestors have gathered in Cairo's Tahrir Square, unhappy that the revolution's goals are not being achieved. 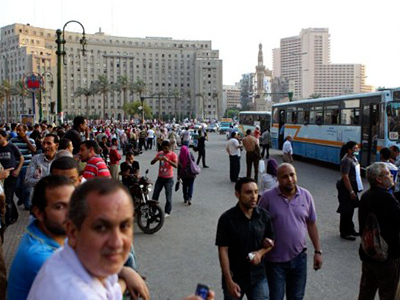 Egyptian activists have been calling for a million people to gather there. ­One noticeable addition to the rally is the presence of the Muslim Brotherhood activists. During the uprising in February, when some 800 people were killed and several thousand were injured, the radical movement was not welcomed by the protestors. Now they are part of the protesting crowd. The apparent absentees are security forces. The demonstrators are making sure that no police are present at Tahrir Square. Civilian activists are doing security checks of those suspected of having weapons. The protestors say that even though high-ranking officials of the Mubarak regime, including the president himself, are to stand trial, its legacy is still very much alive. “We got rid of Mubarak, but Mubarak’s dictatorship is still alive and well,” says Hossam al-Hamalawy, an influential social networker with a Twitter army of some 30,000 followers. The taste of freedom won at Tahrir Square was short-lived. The military is in full power, mass media are being choked and oppression is still rampant. “It’s worse than before I think. They weren’t catching activists as much as they are doing now and taking them to prison. I guess now they are being really violent. They want to kill the revolution. They stole it in the first place,” says activist Nawara Mourad. Activists have a number of demands for the current government, which, they feel, is not running Egypt in the right direction. “The military trials of civilians have to stop immediately. 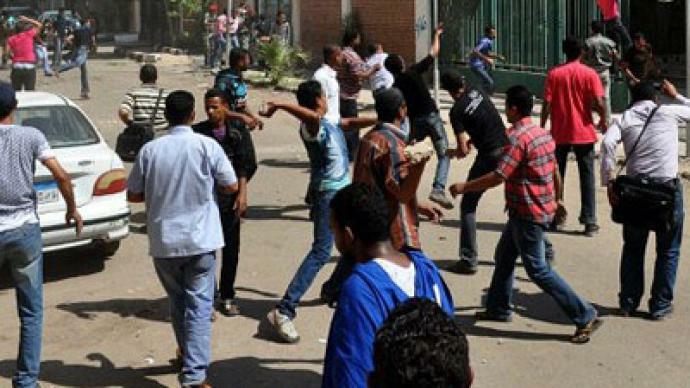 This is one of the major demands we’re putting forward,” al-Hamalawy says. Others include transparent trials for the fallen regime and the purging of corrupt officials. “Unfortunately people had this kind of revenge with Mubarak, that when he fell they felt it’s over, they thought the country would be cleaned up but it’s not the truth,” believes Mourad. Earlier this week, protesters began camping out on Tahrir Square preparing for what they call the second phase of the revolution. “People like myself have been arguing for taking Tahrir to the factories, taking Tahrir to the universities, taking Tahrir to places of work. Meaning in every workplace we have in Egypt there is a mini-Mubarak waiting to be overthrown,” Hossam explains. The revolution will not stop, activists say. Mourad was never interested in politics until January. During the protests she was shot with 23 pellets by riot police, 20 of which are still in her leg. The pain is finally gone but her perseverance is not. 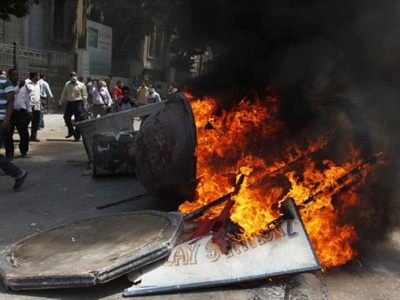 Every protester has their own vision of the Egypt they are fighting for. Some want a Constitution and then free elections. Others think the new laws should follow the vote. But the one thing that brings them all together is that this Egypt is not the end. ­Financial analyst Wael Orban who is taking part in the demonstration told RT that people of different backgrounds and social status have gathered to peacefully protest: “Thousands have come to Tahrir Square to show to the army and to the government they are watching them and want to speed up the process of the trials of the old regime”. ­Mark Almond, a professor at Oxford University, believes that ex-president Hosni Mubarak and former regime officials will be prosecuted, as is being demanded by the Egyptian people, in order to throw a bone to popular discontent. But he doubts they will have a fair trial in the current climate.